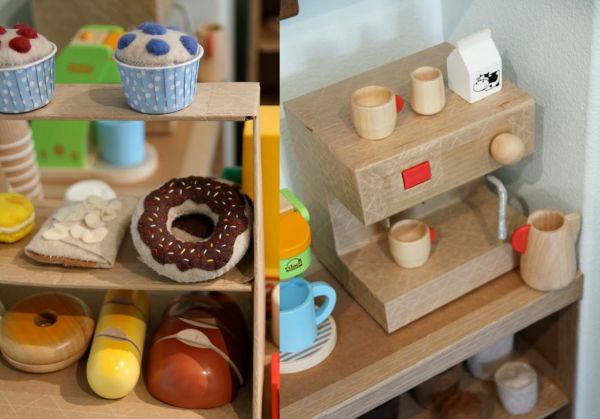 The most-played imaginary game in our house is ‘cafes’. 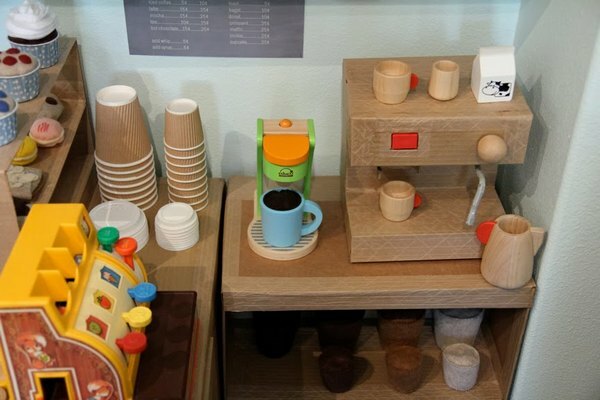 A good game of cafes ticks all the boxes – there’s imaginary cooking, eating, customer service and of course the best bit, having mum or dad sit down to a freshly brewed coffee! 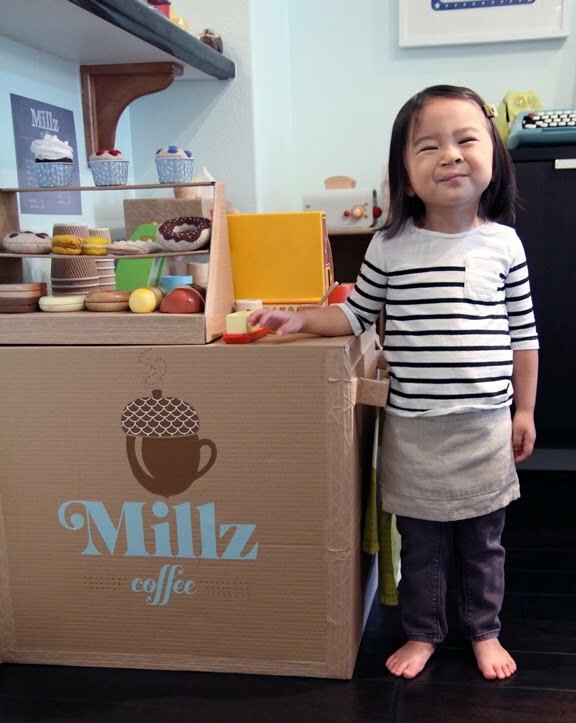 I think I’ll have to start scavenging for cardboard because when I saw the amazing cardboard coffee shop created for a little girl, Emilia, I was truly blown away. 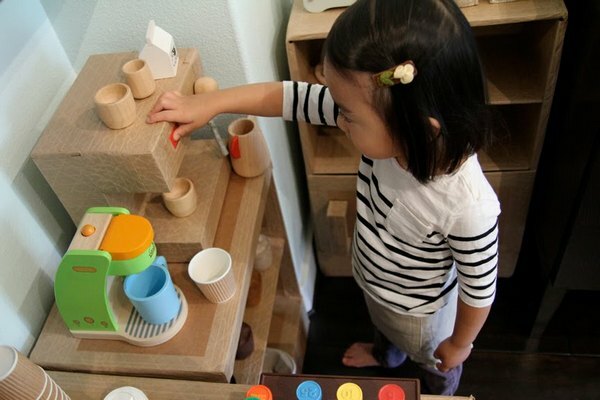 Like my kids, Emilia likes playing cafes and coffee shops. 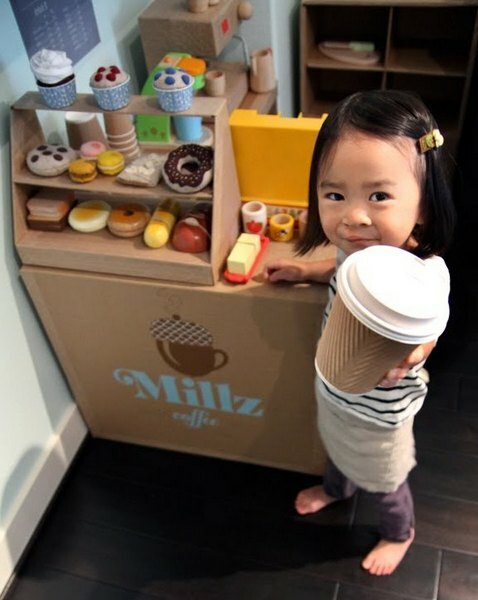 Unlike my kids, Emilia’s mum built her an astonishing cardboard cafe of her own, known as ‘Millz Coffee‘. And she did. 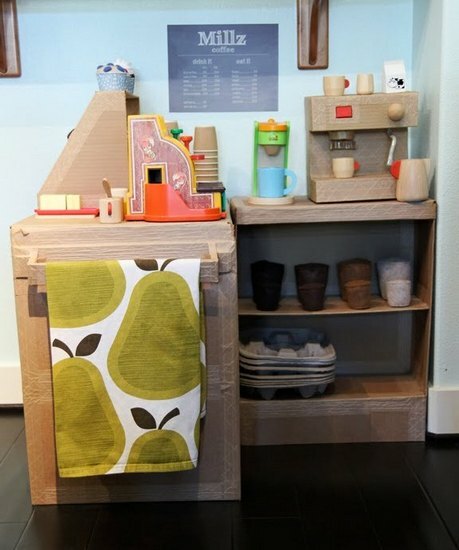 In fact, I think Traci has set a precedent. 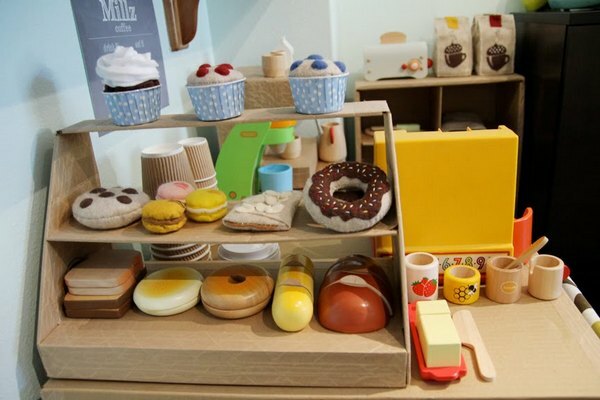 Look at the amazing details – a Millz Coffee logo, felt food, an espresso machine, a cash register and even bags of coffee beans! 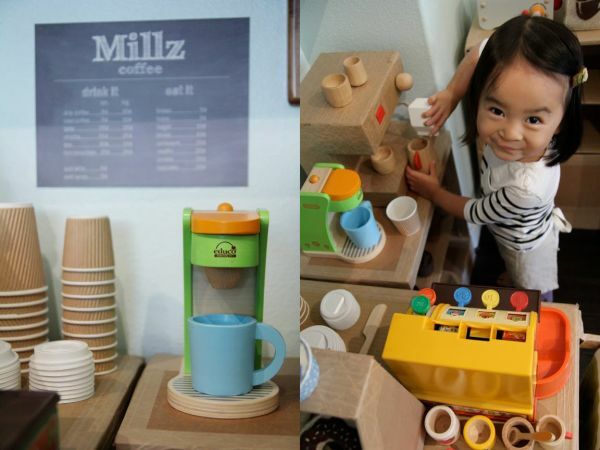 Millz Coffee is a lovely reminder of what can be created for kids with a little imagination (and a little talent! ).